Discover your next big idea in tech-powered coworking and office space in the heart of downtown Hamilton. Work confidently in this prominent 16-story office tower located just minutes from the QEW that connects you to Toronto. This growing sector is an ideal site to collaborate with like-minded professionals in an inspiring working environment. Grab lunch or a cup of coffee from local cafes and restaurants just minutes away. Head over to Jackson Square and shop the latest trends in your downtime. Enjoy the convenience to James Street where you’ll find Hamilton’s up-and-coming creative and cultural scene. A private office space with a view, available in all the centres. 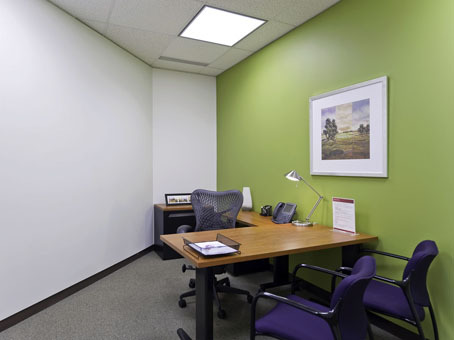 A regular business center office, minus the view; the lowest cost office space. An office and meeting room combined; typically contains two desks and a meeting table. Desk space in a shared office environment, with a hot desking policy that is first come, first served.